In case you haven't heard, Bo Kunz is back. His last time fighting for Rumble Time was October of 2012 where he scored a TKO victory over now pro welterweight Jordan Dowdy. The popular brawler cut his teeth fighting out of the SouthSide Fight Club. After a loss in his pro debut, Kunz took a long break and in February he returned with renewed fire in his belly and is looking to fight often. 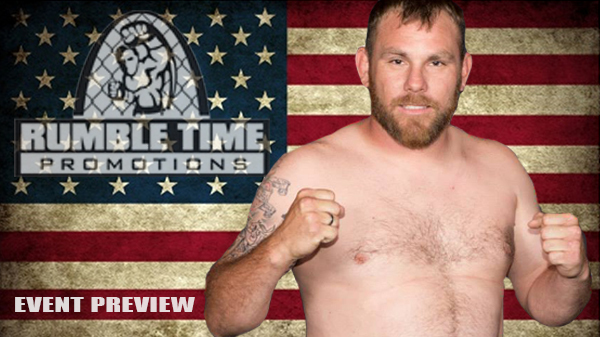 Kunz (1-1) will face heavyweight James Evans on July 10 at Ameristar Casino for Rumble Time Promotions: Victory. Evans is coming off a loss to "The Yeti" Steve Rustemeyer in May after a short amateur career that was highlighted by a win at the Nemesis Fighting Alliance over Jonathan Stotler. Evans will have a definite size advantage over Kunz, who is a small heavyweight and realistically should be fighting at middleweight, but don't count out Kunz's punching power as he has sent many an opponent to an early shower. A favorite of ours for obvious reasons, will make his professional debut. KJ Jones will face Adrian Vega out of Arkansas. Jones has a solid amateur career highlighted by the memorable battle versus John Davis at Proving Grounds in April, 2012 and a vicious first round TKO of Auhston Dickerson at Shamrock. Jones looked good in a tune-up fight in April after a 17 month layoff winning a unanimous decision in a very exciting fight that showed off Jones' improved game. One of the area's most active amateurs will finally be making his jump to the pros. Cahokia MMA's Montuelle Prater has fought everywhere and against everyone in his 25-plus amateur bouts. Prater is matched up against Dustin Beemer. Prater is a heavy favorite in this bout with his power punching and improving ground game that continues to improve under the watchful eye of veteran submission ace Yohance Flager. Fresh off his highlight reel victory in Kansas City, Matt "KO Kid" Murphy is back in front of the hometown fans. After a first round loss to Ken Porter, Murphy took to the road fighting in Chicago and Kansas City going 1-1. Also making his pro debut is Dan "Cold as Ice" Busch, the reigning Fight Hard amateur lightweight champion. Busch fights out of Seven Corner Road and has won three straight. Tyler Johnson and Sean Woodson round out the main card. 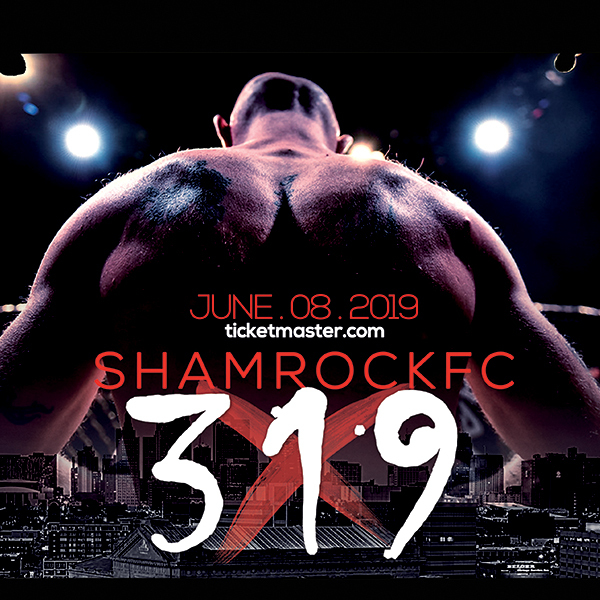 Woodson recently defeated Kunz in a K1 bout at Shamrock FC. On the amateur side, two of Patrick Smith's top amateurs: Denver Sells and Cody Winistoerfer invade Rumble Time taking on yet to be named opponents. With Cage Champs on a summer break, the two are looking to stay busy and will be looking for new challenges at the bright lights of the Ameristar Casino.